CHICAGO – First Tuesdays in Chicago have a new face and a new attitude. Amy Guth – who is a filmmaker, author and broadcaster – was named in July as Executive Director of the Midwest Independent Film Festival, the monthly fest event that convenes every first Tuesday during the year. Her first presentation opportunity for 2018 is tomorrow night (Tuesday, August 7th) at the popular Female Filmmakers Night. For the short film line-up, more information and ticket purchasing, click here. Amy Guth also continues to be an advocate for women in media, so Female Filmmakers Night is a perfect theme for her to begin as Executive Director. For the first time, the short film night was put before a jury, and Chaz Ebert will present the award for best film. Among the screenings will be the U.S. premiere of “Stage Four,” which explores a long marriage; the Chicago premiere of the animated “Go Kart”; and a documentary short entitled “Mickey’s Pets.” The Midwest Independent Film Festival, now in its 14th year, has been recognized as one of the top places for local filmmakers, producers and actors to network in the city. In PART ONE of a Podtalk with Patrick McDonald of HollywoodChicago.com, Amy Guth talks about her plans as Executive Director of the Midwest Indie Fest, and her almost instant connection to the Fest’s many contributions in Chicago. In PART TWO, Ms. Guth talks about the role of media and communication in the digital age, and an affirmation about what to expect in her leadership. 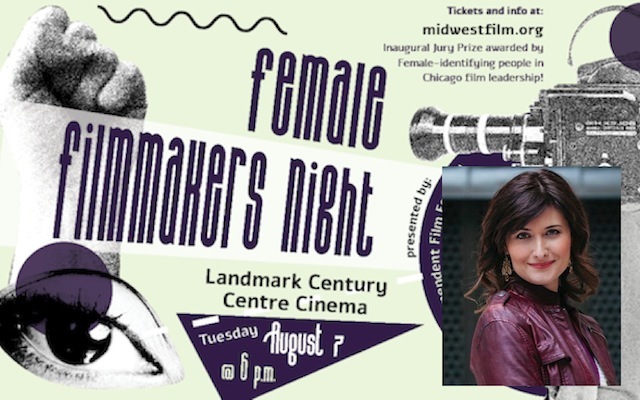 The Midwest Independent Film Festival presents Female Filmmakers Night on Tuesday, August 7th, 2018 (6pm start), at Landmark Century Centre Cinema, 2828 North Clark Street, Chicago. For more information about the festival, click here.